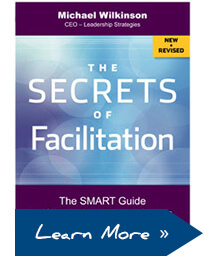 Take your facilitation skills to the next level! Already taken The Effective Facilitator? Ready to move to the next level? In this exciting follow-on, learn new facilitating techniques, receive expert feedback, and get more practice, practice, practice. This course is designed to help you take your facilitation skills to the next level. We help you identify your facilitation skill level and isolate the areas for focus during the course. We then give you substantial opportunities for need-specific practice, where you are able to facilitate and incorporate feedback during intensive practice sessions. Whether you are looking to enhance your probing skills, obtain better control of discussions, explore techniques for engaging participants, develop confidence in handling disagreements or maximize interactions, this course ensures that you get what you came for that and you move to the next level in facilitation!